Lalu Prasad Yadav is an Indian politician and the president of Rashtriya Janta Dal, a state political party of Bihar. He has held important posts in both, state as well as central governments and has served as the Chief Minister of Bihar from 1990 to 1997. Lalu Prasad Yada was the Union Minister of Railways from 2004 to 2009 with the United Progressive Alliance (UPA) Government. 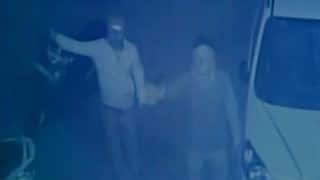 He was an elected Member of Parliament of the 15th Lok Sabha from Saran constituency of Bihar but was disqualified as MP after he was convicted for his involvement in the 'Fodder Scam'. 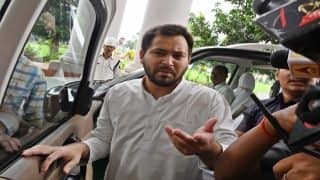 As of August 2016, his younger son Tejashwi Yadav serves as the Deputy Chief Minister of Bihar and is the youngest to hold the office at the age of 26. A sentence of 5 years of rigorous imprisonment and a fine of Rs. 25 Lakh was ordered against him. On December 2013, the Supreme Court of India granted him bail in one of the six cases registered against him in the Fodder scam. 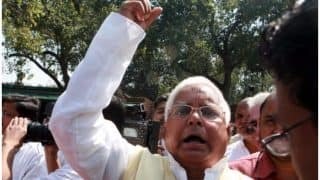 There are also many other corruption cases against him that are currently sub judice.Lalu Prasad Yadav was born on 11th June 1948 in Phulwaria Village of the Gpalganj District in Bihar. He is the second son of a poor peasant family of Kundan Rai and Marachhiya Devi. 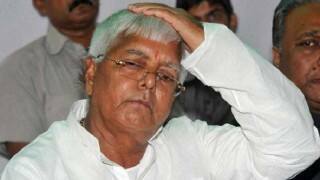 Lalu studied up to seventh standard in a local middle school and then he along with his elder brother shifted to Patna. 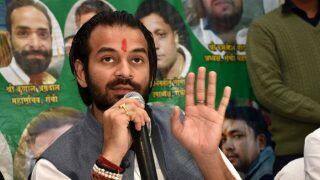 In Patna, he completed his Bachelor's degree in law and Master's degree in Political Science from B.N. College under the University of Patna. 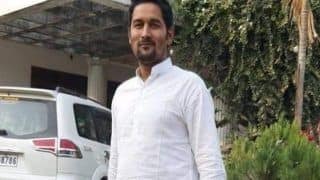 After completion of his graduation, he worked as a clerk in the Bihar Veterinary College in Patna with his elder brother who worked there as a peon. Lalu entered politics as a student after becoming the General Secretary of the Patna University Student's Union (PUSU) in 1973. 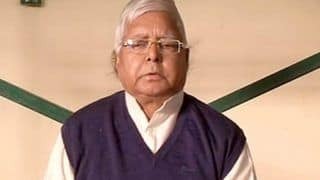 Lalu was also a part of the Bihar Movement led by Jai Prakash Narayan in 1974 against rising prices, corruption and unemployment. Lalu Prasad Yadav became the president of the Chhatra Sangharsh Samiti formed by PUSU and supported Jai Prakash Narayan's Bihar Movement. This brought him closer to the brass of the Janata Party and the party gave him the ticket to contest the sixth Lok Sabha Elections in 1977. He won the seat and thence began his political career at the national front. Lalu was one of the youngest members of the then Parliament at the age of 29 years. Due to continuous problems within the Janata Party, the party dissolved itself leading to re-election in 1980. 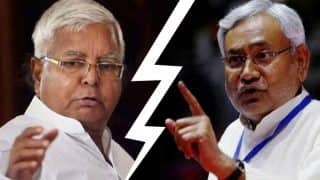 Lalu contested the election from the Janata Party-S led by Lokbandhur Narain and lost the election. However Lalu contested for Bihar's state election and became a Member of the Legislative Assemly. During this period, Yadav's popularity increased and he was considered as one of the top leaders in the state of Bihar. He was re-elected for Bihar Assembly in 1985 and became the Leader of Opposition in 1989. He was also elected for the Lok Sabha under the Government of India with Mr. V.P. Singh as the Prime Minister. Lalu represented the single largest caste of Yadavs in Bihar with 11.7% of the state population. This made him one of the most established leaders of the lower caste voting pool in Bihar. Lalu had the same amount of popularity in the minds of the Muslim voters. With that kind of vote bank, Lalu was popularly elected and he became the Chief Minister of Bihar in 1990. 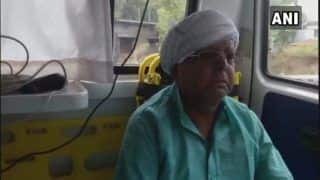 Lalu also presented himself as a secular leader after the arrest of Mr. LK Advani at Samastipur during the Rath Yatra. With the help of Yadav-Muslim votes, Lalu continued to be Bihars Chief Minister. 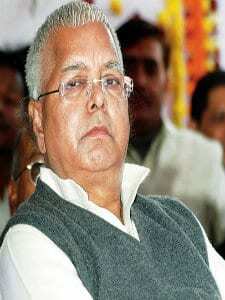 Lalu had to resign from the Chief Minister's post after the allegation of his involvement in the Fodder Scam. After resigning he subsequently installed his wife Smt. 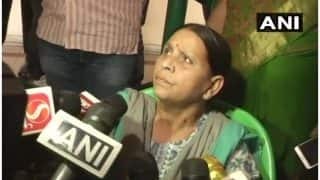 Rabri Devi as Bihar CM. 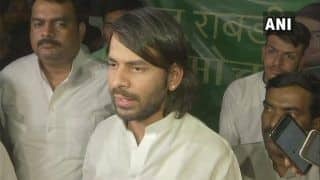 After the allegation related to fodder scam, Yadav broke away from Janata Dal and formed a new political party Rashtriya Janata Dal (RJD) on 5th July 1997. RJD remained in power until 2005. Yadav contested 1998 election from Madehpura and became the member of the 12th Lok Sabha. He lost in the 1999 General Election but in 2000 again became the member of the Bihar assembly. Yadav was elected in Rajya Sabha in 2002 and he remained a member of Rajya Sabha until 2004. 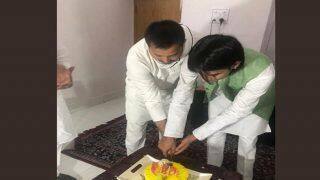 He contested the 2004 General Elections from Chapra and Madhepura and won from both the seats. Later he gave up the Madehpura seat and represented Chapra in the Parliament. Yadav became the Railway Minister in the UPA-1 government in 2004. When he took over as the Railway Minister in 2004, Indian Railways was a loss making organization. 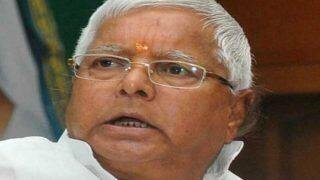 In the four year leadership of Lalu, he showed a cumulative profit of Rs. 250 Billion. This became a case study by the prestigious Indian Institute of Management. Yadav also received invitations from many schools and universities abroad and addressed over a hundred students at the famous Harvard University and Wharton Business School. However in 2009, questions on the turnaround were raised by Yadav's successor Mamata Banerjee and she said that the profit was just a different way of showing the financial statement of the railways. In 2009 General Election, Yadav's party The RJD won four seats. 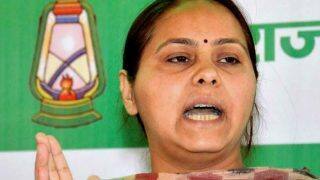 However in May 2013, Yadav lost his membership of Lok Sabha upon his conviction in in the fodder scam. 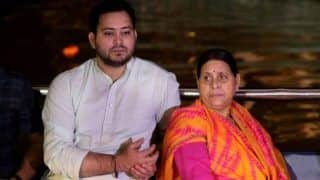 In the 2014 elections, RJD won four seats and Lalu Yadav has been working on the merger of six parties to form Janata Parivar since.Yadav married Rabri Devi in a traditional match arranged by their parents on 1st June 1973. 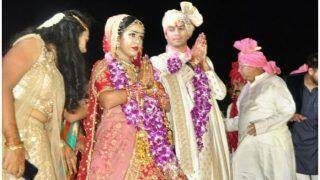 Yadav has nine children, two sons and seven daughters. 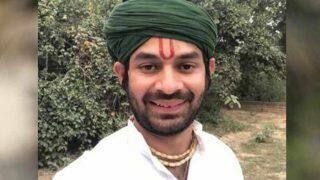 Tej Pratap Yadav , his eldest son is the current health minister of the Bihar State Government whereas Tejashwi Yadav, his younger son is an ex-cricketer and current deputy Chief Minister of Bihar. 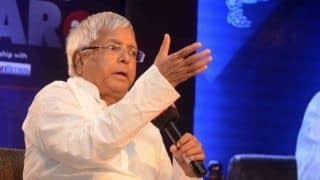 Lalu Yadav is known to be a crowd puller and a colourful politician with a lot of controversial stands for his he has attracted ire from different factions of society. Actor turned politician Shatrughan Sinha, who is also a political opponent of Lalu Yadav in Bihar once said the if Yadav would not have been a politician he could have been an actor. Yadav has also faced criticism for advocating and supporting castism in politics. He faced criticism when he used Osama bin Laden's look-alike for campaigning and wooing Muslim voters during the 2005 Bihar elections. 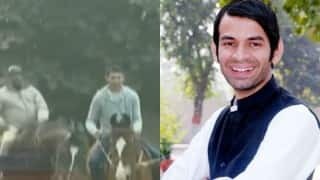 Lalu's son Tej Pratap Yadav rides horse to curb pollution in Patna! Is he the next Arvind Kejriwal?